Relax in this Blue Mountains fully self contained cottage with two queen and two single beds (Suitable for 4 adults and two children or a couple). Portacot and highchair available too. Blossom Cottage is a non-smoking and pet free property with a reverse cycle air conditioner , a gas log fire and wifi with Netflix . Enjoy walking to local attractions such as the bookshop, antique shops, specialty shops, galleries or weekend markets. Have fun eating out in the restaurants, pubs and cafes just up the road. Have a picnic at one of the local parks or a family BBQ just around the corner. Attend the Blue Mountains Music Festival March 2019 in Katoomba , or the Blackheath Rhododendron Festival in the first week of November 2019 . Visit the Campbell Rhododendron Gardens all year round . Picnic at Blackheath Memorial Gardens and pool December to April . See the cherry blossoms in neighbouring Park Road in spring . Visit the neighbouring towns and villages eg Leura, Katoomba and Mt Victoria . Escape -Travel up by train and walk to the cottage . Relax in the spa bath ( unfortunately the jets on the spa are not working at the moment ) or curl up in front of the gas log fire .Read a book . Watch a film on Netflix . Sit inthe sunny backyard . * this is an entirely non - smoking property. Please do not book the property if you intend to smoke inside or out. *Please leave the property clean and tidy as you will be responsible for any additional cleaning fees. No pets allowed . No parties allowed due to quiet neighbourhood . There is a reverse cycle air conditioner in the family room end of the kitchen area which also cools / warms the lounge room area as it is an L shaped living area . Lots of DVDs for children and adults . Within walking distance to Blackheath Village and train station . Close to National Parks Office and bush walks on either side of train line . Really comfortable, well-equipped and conveniently located cottage, with a very responsive and accommodating host. We’re glad you enjoyed your stay Ben . Thank you for your review . You’re welcome to book again anytime. .
Cosy and comfy. Loved watching Netflix movies while it poured with rain outside! Conveniently located. Thanks for booking Marion . Glad to see you were warm and comfortable despite the rain . It’s good to see that enjoyed Netflix here . We had three generations attending a wedding and the house had everything we needed, was very comfortable and warm. Our hosts were readily contactable and very accommodating - thanks! I’m very glad that three generations were able to enjoy our cottage as that was our aim when we set it up . Thank you for your review Peter . 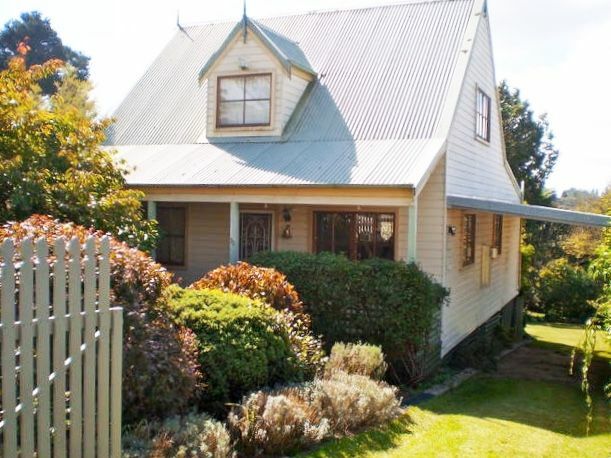 Blossom Cottage is warm and cosy, equipped with everything you might need for an enjoyable stay in the mountains, and ideally located for doing the Grand Canyon and other local walks or visiting Blackheath, Wentworth Falls, Leura or Katoomba. Megan offered friendly information before the trip, and everything went completely smoothly. Would definitely recommend this cottage and would stay here again without question! You’d be welcome back too Catherine . Thank you for such a great review and for enjoying the set up and comforts we provide as the base for your holiday here in the mountains . Thank you Ellen . Yes , we’re close to everything and everyone enjoys the warmth here . Blossom cottage is a lovely little cottage with a very ‘homely’ feel. Great location to town, just a few minutes walk up the street. We arrived by train and was a very easy walk to cottage even with a large suitcase. Blackheath itself is a lovely quiet town with great food choices. We ate at Piedmont Inn which has great pizzas and also the Thai restaurant which was also lovely. Lots of walking tracks from visitor centre. The cottage itself is very cosy with a gas log heater and split system also. All warmed the house well as it was freezing when we stayed. Also the electric blankets on the beds were a bonus. The Smart TV and wifi were the best we’ve ever had at a rental so very impressed. Megan was very easy to liase with and prompt in replies. Highly recommend and would definitely stay again. Guests love our proximity both to town and to bush walks . An added bonus is that you can travel here by train and use local transport to visit other tourist attractions nearby as the bus stops right next door . Comfortable heating has always been our main priority and we’re very pleased to now offer free wifi and Netflix . Return guests are very welcome .